As a hometown company with deep Denver roots, the Blue Bear Waste Services team proactively supports the communities where we live, work, and play. Stewardship and civic responsibility are never afterthoughts for Blue Bear. They are central to who we are: as a company and as Colorado citizens. Neighborhoods thrive when residents and businesses give cooperatively of their time, energy, and resources. Won’t you join Blue Bear Waste Services in making Denver a better place to live? We are always on the lookout for new charitable partnerships. Share your ideas online or call 720.500.5282 to speak with a member of our team. Blue Bear Waste Services’ owner and hockey enthusiast, Shaun Hollis, was among the initial members of the Dawg National Hockey Foundation. It began as a grassroots effort to support Denver recreational hockey families during times of catastrophic illness, medical crisis, and financial hardship. To date, the foundation has donated over $1.3 million to families across the Front Range. Through events, tournaments, and individual donations, Dawg promotes “the spirit of fellowship via recreational hockey competition, supporting players and players’ families in high standards of health, wellness, and fair play, and supporting league and team players in local community outreach.” The organization has recently assisted hockey families dealing with cancer, burn injuries, diabetes, autoimmune illness, and a devastating wildfire home loss. Visit Dawg National Hockey Foundation to become a sponsor or donate now to support area hockey families. 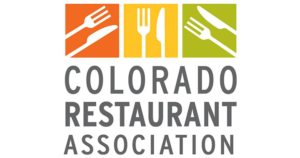 As an active contributor to the Colorado Restaurant Association, Blue Bear Waste Services advocates for a healthy business climate and supports the Colorado Restaurant Association Education Foundation in its efforts to provide student scholarships and build a skilled workforce for Colorado’s restaurant and hospitality industries. Get involved with the CRA by clicking here. One American man is diagnosed with prostate cancer every 2.7 minutes. 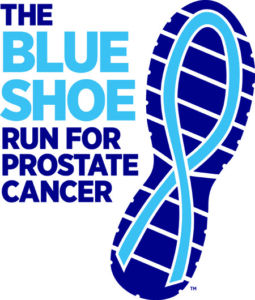 To combat these daunting statistics, The Urology Center of Colorado (TUCC) Foundation developed the Blue Shoe Run for Prostate Cancer. Thanks to the support of thousands of participants, businesses, and family members, the Blue Shoe Run has raised over $500,000 since its 2010 inception. Funds go toward the TUCC Foundation’s efforts to improve local prostate cancer screening, provide disease education for the Front Range, and fund cancer research programs. Blue Bear Waste Services was proud to support Denver demolition expert Gil Jones by participating in the 2016 & 2017 Blue Shoe Run. Look for our big blue trucks at the 2018 run, where we are scheduled as a major event sponsor. While this year’s race is over, you can still make a tax-deductible donation to the TUCC Foundation today.